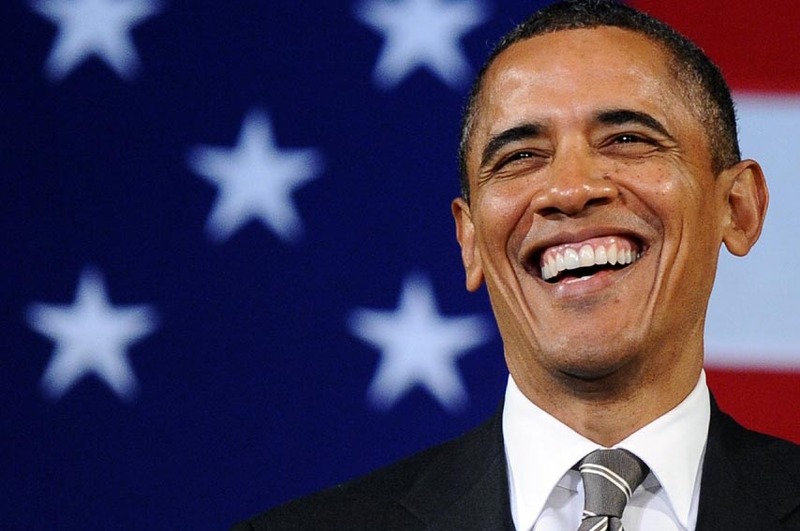 President Obama has reduced the annual federal budget deficit by a full seventy percent since he inherited a $1.4 trillion annual shortfall from his successor George W Bush. And with the race of reduction now accelerating, there is now every reason to believe that Obama can reduce the annual deficit all the way to zero for his final budget before leaving office. This would make him the first U.S. President to eliminate the federal deficit since Bill Clinton. Austerity: The federal government takes more dollars out of the economy than it puts in. No one knows how that works, except perhaps in an upside-down world where the applying of leeches cures anemia and the starving of children makes them fat. About 30% of the roughly 52 million people enrolled in Part B could see a 52% rise in those premiums if Congress and the Obama administration don’t find a way to freeze or reduce the increase. Pressure on Congress is mounting because many state budgets also would be hard hit. The premium increase would affect about nine million lower-income Medicare beneficiaries whose premiums are paid by state Medicaid programs because they are eligible for both plans. Rather than eliminating FICA and providing federally paid, comprehensive, no-deductions Medicare for all, our Monetarily Sovereign federal government pretends its finances are like yours and mine. It pretends it can run short of its own sovereign currency, the dollar. It can’t. It’s finances are not like yours and mine; it cannot run short of dollars. Austerity has one purpose and one purpose only: It widens the Gap between the rich and the rest. The federal Consumer Financial Protection Bureau said Tuesday it is weighing new rules governing the $1.3 trillion student loan market after releasing a stinging report documenting “widespread failures” in an industry largely overseen by the Obama administration. The consumer bureau’s report describes student loan servicing, or the business of collecting borrowers’ monthly payments and counseling them on their repayment options, as riddled with unfair and Kafkaesque practices. Many borrowers are trapped at companies that don’t give them basic information, often mislead them, assess unexpected fees, make it hard for them to correct errors and frequently push them into default, the report says. With delinquencies and defaults on the rise, the consumer bureau has said increasing levels of distress may hurt economic growth if households are forced to pare back spending and other borrowing, such as for home mortgages or new small businesses. Many years ago, our leaders understood that educating our young people was necessary to help America grow and to be competitive among nations. So they mandated that every child should receive a free high school education. In today’s far more technical and sophisticated world, a high school education is not sufficient. Growing America and keeping it competitive requires a much larger percentage of the population to be college educated and beyond. To achieve that end, our Monetarily Sovereign federal government should provide a free college education to every child, just as our monetarily non-sovereign cities and states provide a free K-12 education. Instead, in the name of austerity, we have created a Byzantine borrowing system, enslaving large swaths of our population in unpayable debt. By Yves Smith, September 28th, 2015 By Marcus Harrison Green. If she did not make plasma deposits twice a week at a donation center in Tennessee, Jessica Compton and her family would have no income. Green: Your book documents a 70 percent increase in families living on $2 a day, per person. You talk about the welfare reform of the mid-90s, but what were the additional drivers of this development? Shaefer: We point to changes in the government safety net, but a big driver of this is the state of the low-wage labor market. The parents of many of the families in our study think of themselves first and foremost as workers, but the jobs that they typically can get pay low wages, offer inadequate and unstable hours, and leave them exposed to unsafe work conditions. Couple that with the instability in their family lives and it leads to what we see in the book. There’s an affordable housing crisis in this country and it doesn’t just affect the $2-a-day poor. But housing instability seems to be both a cause and a consequence of extreme poverty. Green: The poor are often demonized in this country, with politicians and others saying their problems are their own fault. Shaefer: People make the assumption that low-income families don’t work or don’t want to work. And that’s just not true. The norm among families with children is a parent who works or has worked recently. But I don’t think people fully grasp the conditions of jobs in the bottom rungs of the labor market. Green: Your research showed that about half of families living on $2 a day are white. This may come as a surprise to some readers who remember the image of a “welfare queen” bandied about to vilify poverty programs in the 80s and 90s. Poverty hurts America. It hurts not only the poor, but the entire nation. Poverty creates crime. Poverty creates illiteracy. Poverty creates disease. Poverty reduces a nation’s economic growth. Being part of America, you are affected by poverty, whether or not you yourself are poor. For reasons discussed in an earlier post, I do not suggest providing jobs to the poor. I propose we simply give a monthly Economic Bonus (EB) to every man, woman and child in America, regardless of any other income or wealth they may have. You would receive the same EB as I receive and as Bill Gates receives. No need to go through the convoluted steps our gigantic tax code demands, to determine what is income, and what kind of income it is, and when you received it and how you received it, etc., etc. If you live in America, and you’re alive, you receive your monthly EB. Remember, the federal government can afford it, and it costs you nothing. When Congress considered federal disaster assistance in the wake of Hurricane Sandy, Sen. Tom Cotton (R-Ark.) voted against it. Two years later, when it was his state that was hammered by flooding, Cotton reversed course, requesting and receiving emergency aid. Sen. Ted Cruz (R-Texas) also voted against the Sandy-relief bill, though three years later, the Republican senator fought for federal funding for Texas in the wake of flooding. Sen. Lindsey Graham (R-SC) “is asking for federal aid for his home state of South Carolina as it battles raging floods, but he voted to oppose similar help for New Jersey in the aftermath of Hurricane Sandy in 2013,” CNN reports. Bottom line: Austerity (i.e. deficit reduction) is the single worst economic plan history. Austerity never has worked for any Monetarily Sovereign nation. Austerity always leads to recessions and depressions. Austerity has but one result: It impoverishes the 99% while widening the Gap between the rich and the rest. So why is Obama laughing? Because when he retires he will be part of the wealthy 1%. He and his wife will make millions by giving speeches. His daughters will receive lucrative jobs from rich companies. They all will travel the world, and hobnob with the rich and the powerful, while a library extols their virtues. Meanwhile, America will fall into the recession or depression his austerity will create, as austeries invariably do. Probably because his (financial) benefactors are making out like bandits. OVERALL, private debt levels in the domestic non-financial sectors continue to accelerate. For example: State and local government debt levels have increased twofold! since 2008. Federal debt is good because it shows that the federal government is pumping stimulus dollars into the economy. It is good because non-federal borrowing also pumps stimulus dollars into the economy. It is bad, because the non-federal sector, unlike the federal government, cannot pay an unlimited debt. A growing economy will benefit from increases in both federal and non-federal debt. Thanks. I get that the limit to NON- federal deficit spending is the ability to borrow, yet it appears the “bad” may be fast approaching, based upon the above Fed stats. Exxon hid evidence of the role of fossil fuels in climate change from the public and stymied political action on global warming. First, it probably doesn’t violate Bush’s “conscious.” He has shown very little signs of being conscious. Second, everyone except the very rich needs health care insurance. No one knows when injury or sickness will strike, and when it does, the lack of insurance can be impoverishing. Read the article to see that Bush’s plan (if one could call it that), is a complication that ultimately would reduce health care coverage for the middle and lower income groups — as usual. I would laugh too if I were in his position. We all find it amusing when we get away with cheeky lies!